Now that we’ve had some rain, fog has come for a visit as well, so that means that it’s cold outside. I went shopping at JoAnn’s last week and the women were stocking up on fleece, many were planning on making blankets and had 5 to 6 bolts of fleece in their carts. 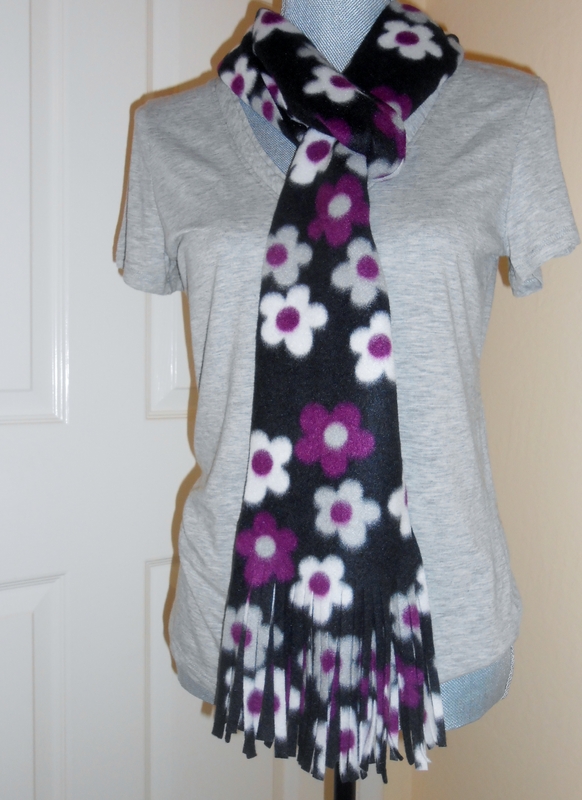 Having not sewn with fleece I decided scarves would be a good beginning. Fleece comes in so many patterns and colors that it’s hard to make a choice. But I made up my mind and took a number to be helped. The clerks were on no. 62 and I was no. 84, no not good at all, but I’m very patient. 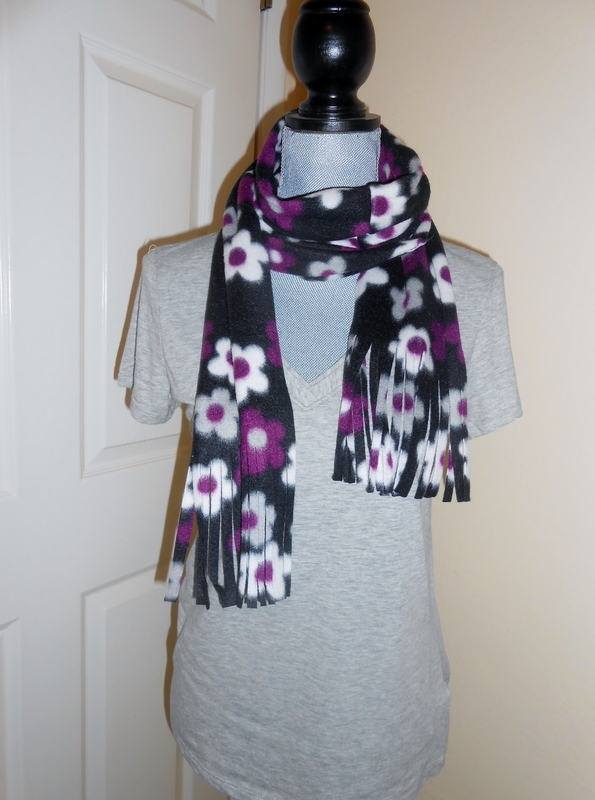 With 1 yard of fabric I was able to make 2 scarves, and I still have some left over fabric, enough for one more. Once I finished the first scarf, I decided to wear it, since we were going out on errands. So much for making a fashion statement! 3 pieces of 6″ wide by 31″ long, do not sew into a circle. Then you can cut the fringe at both ends, my fringe is 6 inches long, but you can do any size that you want. It also depends on the width of the fleece, selvage to selvage, to decide how many pieces you need to sew together, if any at all. Something ate my winter garden. 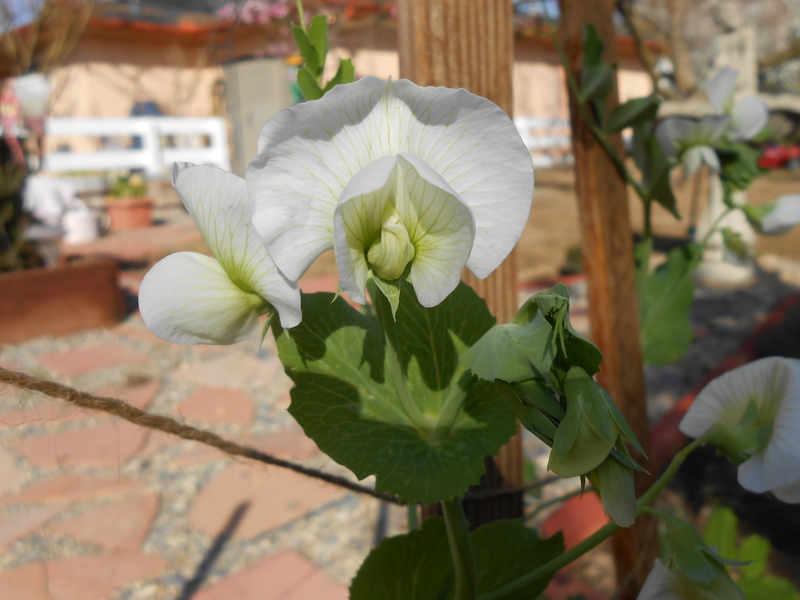 Back in November I talked about my winter garden. Well this is what it looks like today. Pathetic, right? It’s not really my fault. The day after I planted, I went out to check on it and something had eaten most of my plants. 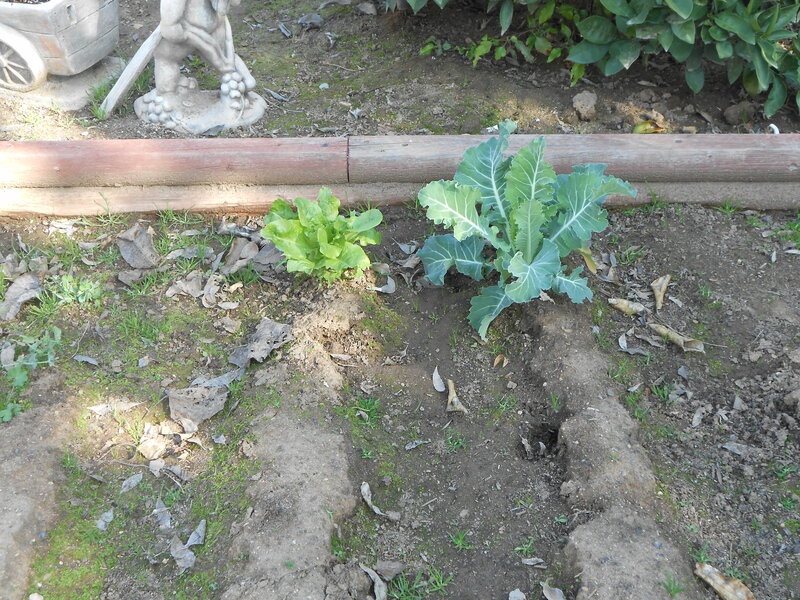 But I am grateful that I have 1 bib lettuce and 4 cauliflower plants to enjoy, if that something does not eat those also. 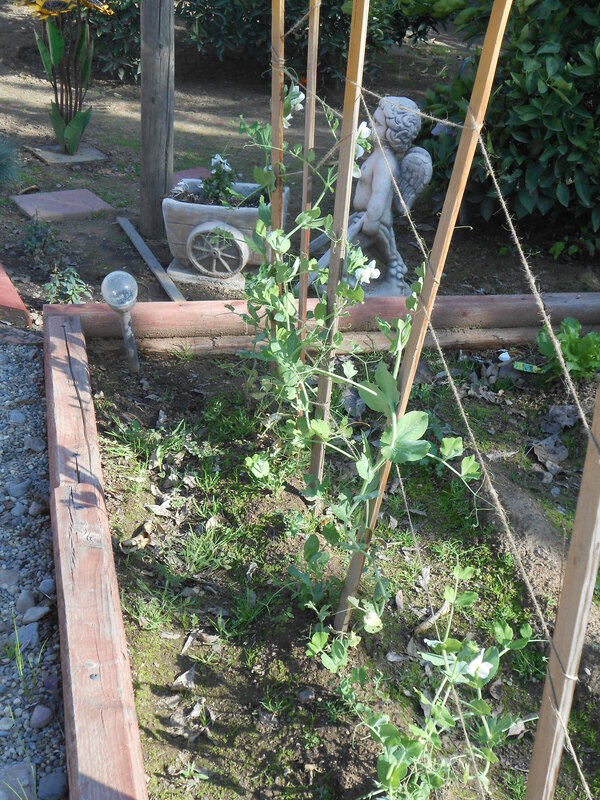 Plus my snap peas are growing and it won’t be long before our grandson comes along and plucks them off the plant to snack on. 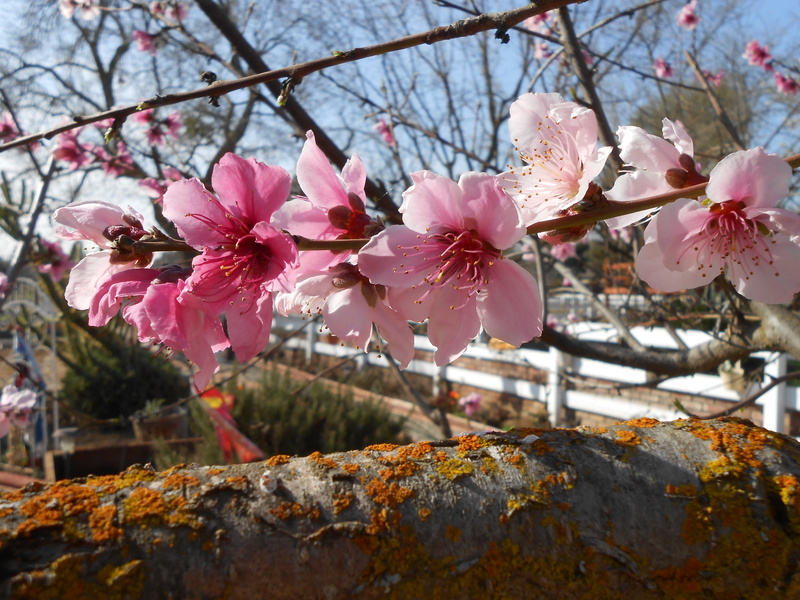 The blossoms are so pretty! I do have to admit that after seeing my plants had been eaten, I was discouraged. Country life is hard when dealing with all those critters out there, but I’ll keep trying and hope for a better summer garden. 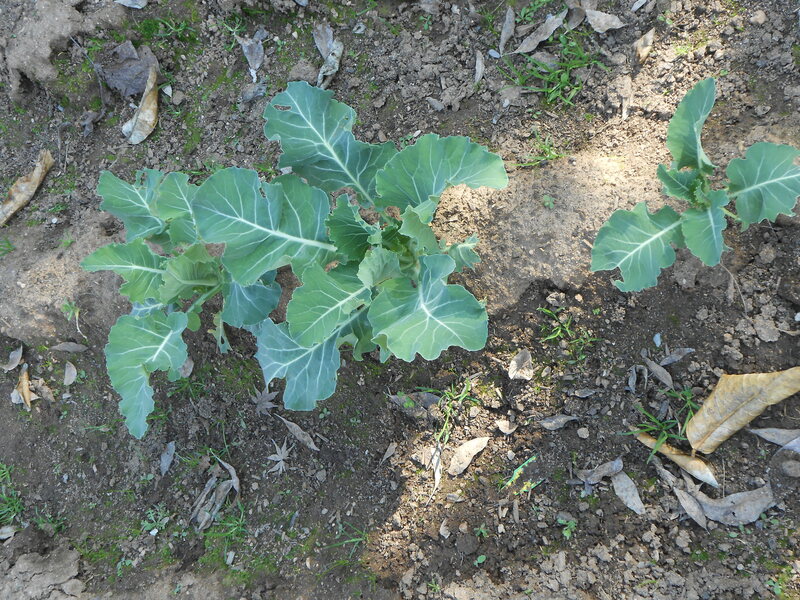 The rest of the cauliflower are hoping not to be eaten by something. But, there is a bright side of things and that happens to be the spring weather we have been experiencing ( it’s actually raining right now, yay). 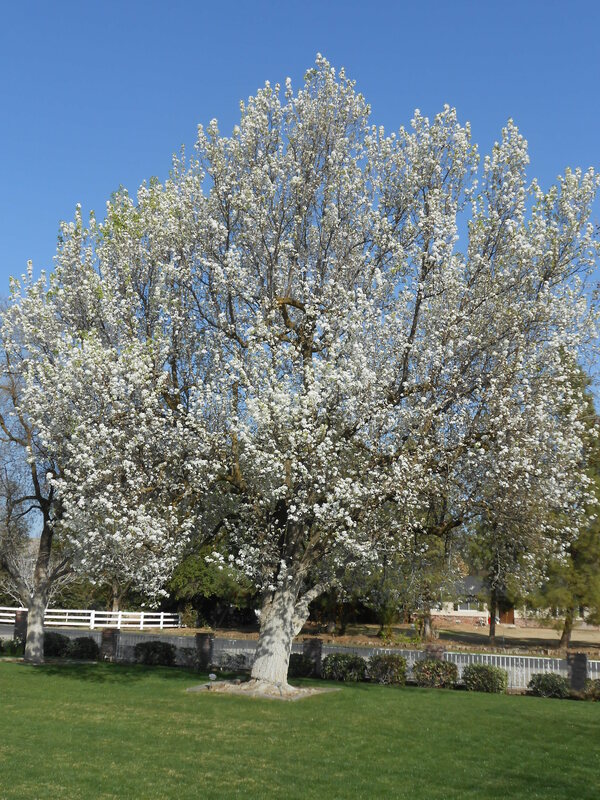 But yesterday was beautiful and my favorite tree looked gorgeous! I know that many of you are dealing with harsh weather, and I truly sympathize, but we Californians will have to suffer the consequences at a later date for all this gorgeous weather.